As people age, their joints may become painful, sometimes severely affecting their quality of life. Joint replacements (arthroplasties) for the knee, hip, shoulder, and other joints are now common surgeries and their successful outcomes can change lives. is infection in the surgical wound or the joint itself. 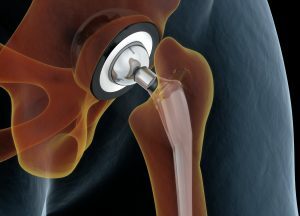 According to the American Academy of Orthopaedic Surgeons, about one patient out of every 100 who undergo a hip or knee replacement develops an infection. Regardless of where the infection is, it could lead to sepsis. Sepsis and septic shock can result from an infection anywhere in the body, such as pneumonia, influenza, or urinary tract infections. Bacterial infections are the most common cause of sepsis. Worldwide, one-third of people who develop sepsis die. Many who do survive are left with life-changing effects, such as post-traumatic stress disorder (PTSD), chronic pain and fatigue, organ dysfunction (organs don’t work properly) and/or amputations. Surgery is performed under sterile conditions. All objects introduced or implanted in the body are sterilized to minimize the risk of infection. However, there is always a small chance that bacteria can still appear on the implant or hardware and cause a bacterial infection. And since the bacteria are inside the implant instead of exposed directly to body tissue, it can be more difficult for your immune system to detect and fight the bacteria. Why are joint replacements performed? Total and partial joint replacements are performed to replace damaged or diseased parts of the joint. They may have been damaged by trauma (motor vehicle accidents or falls, for example), or worn down by arthritis or other joint conditions. Do joint replacements put you at risk for infection and sepsis? Most people who undergo joint replacements heal well, without any complications. However, any type of surgery does increase your risk of developing an infection, which can in turn cause sepsis. Risks include developing pneumonia following surgery or contracting a healthcare-acquired infection (HAI) during your stay in the hospital. As well, some people who undergo joint replacements may be older and/or have underlying disease conditions, such as diabetes or COPD, that may make them susceptible to infections. If an infection occurs within the joint, you will likely have increasing pain in the joint as well as some of the above symptoms. Infections in the incision usually occur within a few days of surgery, while the skin is healing, but joint infections can occur days to years later. If you have an artificial joint, it is important to report any increase in pain, especially if it is associated with any of the above signs of infection. The first step for treating an infection in an artificial joint is to administer antibiotics. Intravenous (IV) antibiotics are often necessary. If the infection is too deep to be treated with antibiotics but the surgery was recent, your surgeon may choose to clean out the joint surgically. This procedure, called debridement, allows the surgeon to remove any contaminated tissue and thoroughly clean out the joint, but keep the initial replacement. Intravenous antibiotics are usually given for about six weeks after the procedure. Later infections, those that occur months or years after the implant, are more difficult to treat. Most often, the implant needs to be removed and the joint thoroughly cleaned out. A temporary spacer is inserted into the joint so it can heal and the infection treated with IV antibiotics. Once the infection is completely gone, another surgery is performed to remove the spacer and insert a new artificial joint. Can infection be prevented after a joint replacement? Preoperative testing for bacteria in your nasal passages by a nasal swab. Preoperative wash of your skin with a special soap at home before the surgery. Giving you antibiotics while you are in the operating room and for at least 24 hours after surgery. Recommending preventative (prophylactic) antibiotics before you have any procedures that could put you at risk for an infection, such as dental surgery or other surgical procedures. If you suspect sepsis, call 9-1-1 or go to a hospital and tell your medical professional, “I AM CONCERNED ABOUT SEPSIS.